RANT To hikers playing loud music. 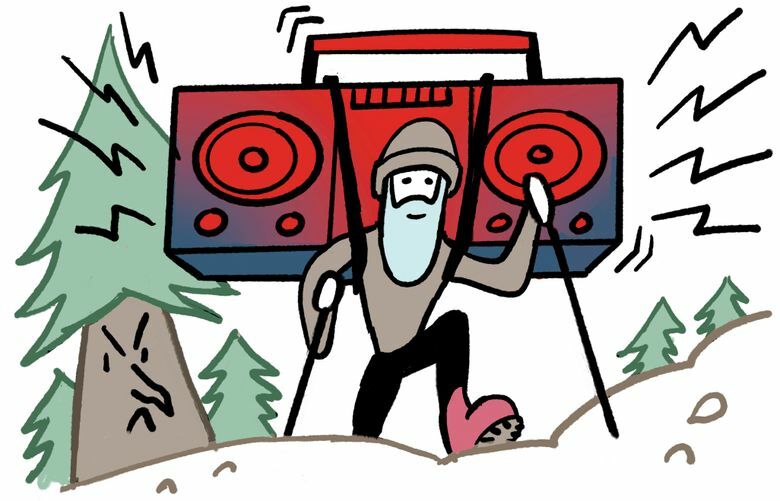 We hike to experience nature, peace and serenity, not to listen to your boombox and music. Please keep your music to yourself with headphones and leave your boombox at home. RAVE Thanks to the city of Seattle, WSDOT, Seattle Police and the sponsors and volunteers for the wonderful celebration of the viaduct/Battery Street Tunnel on Feb. 2. The events were fun, informative and well organized, and it was an amazing experience to be on the viaduct one last time and to walk through the tunnel. Although jammed, it was fun to see all the people interested in the event. Such a special time to look back on history and look forward to the future in this great city! RANT To people who drive down icy hills when traffic cones and signs mark them closed. Four-wheel drive doesn’t help you stop on ice or steer when you slide. Gravity doesn’t think you’re special. RAVE AND RANT Rave to the majority of Seattle drivers who are considerate and attentive to other drivers, pedestrians and bicyclists. Rant to the minority (but growing number) who aren’t, who roll through stop signs, make aggressive turns without looking, etc. I’ve had more near misses as a pedestrian in the past year than I’ve had in the previous 30 years I’ve lived in Seattle. Please be careful and considerate; somebody else’s life may depend on it. RAVE I was stopped on the shoulder of Highway 520 with a flat tire, on hold calling our roadside assistance, when a DOT worker knocked on our window and said “Can I fix your flat?” Wow! He had us on our way in no time. Great job! RANT Why isn’t the election date put on the front of the ballot envelope in large print to remind voters? It’s nowhere on the envelope. RAVE To Seattle City Light service and helpful information. We’ve had power outages twice recently, and in each case City Light’s website showed the area covered by the outage, its cause if known, and when it would be fixed. The power was restored well within the stated times. RAVE To Seattle Parks Department employees who care for the pathway around Green Lake, keeping it well-graded and smooth year-round. I sing your praises as the days get darker earlier and I can still run around the lake, knowing the path will be smooth. RANT AND RAVE Rant to plane passengers who can’t lift their own luggage and expect the cabin to stow it for them in the overhead bins. It’s not their job to lift your luggage. If you can’t lift/stow your own bags, most airlines will check it for you for free. A rave to the stewardess on my recent flight who politely drew boundaries to the guy who expected her to take care of his big duffel bag.